The Apple Watch is out and making its way to wrists around the world in a variety of different versions, but in a surprising revelation it appears that the cheapest edition, the Apple Watch Sport, has the best screen out of all of them. Starting at $349 (£299, AU$499), the Apple Watch Sport certainly isn't a budget device, but those who spent upwards of $17,000 (£13,500, AU$24,000) might be a little miffed that their more expensive Apple Watch doesn't keep up with the cheaper sibling when it comes to display quality. Display expert DisplayMate put the three versions (the Apple Watch Sport, the Apple Watch and the Apple Watch Edition) in their 42mm guises through a number of tests to find out which one has the best screen. In many respects the displays are very similar, as all three models come with a flexible OLED display (Apple's first foray into the screen technology) with a diagonal size of 1.53-inches and a resolution for the 42mm versions of 312x390 – resulting in a pixel density of 322 pixels per inch. 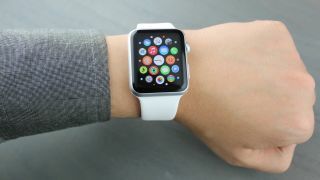 However there is a crucial difference between the Apple Watch Sport and the two more expensive models; the Apple Watch Sport comes with Ion-X strengthened scratch resistant glass – the same found on the iPhone 6. On the other hand, the Apple Watch and the Apple Watch Edition go for a sapphire crystal protective layer which is incredibly scratch protective, but with a catch. Sapphire reflects almost twice as much ambient light as glass, leading to a decrease in image contrast and colour saturation in ambient light. It also means that at certain viewing angles,the more expensive Apple Watch versions suffer from slightly more colour shift, though they perform better than the Apple Watch Sport when it comes to retaining brightness when viewed at an angle. DisplayMate found that all versions of the Apple Watch offer fantastic screen quality, however if you go for the more expensive versions with sapphire displays, you will be making a compromise in image quality in return for a more scratch resistant display. Hopefully the next generation of Apple Watch will come with Enhanced Sapphire, which will reduce the reflective quality of the screen, making it perform better in ambient light and eliminating the need to make any such compromise in the future. How does the Apple Watch compare to the Moto 360?